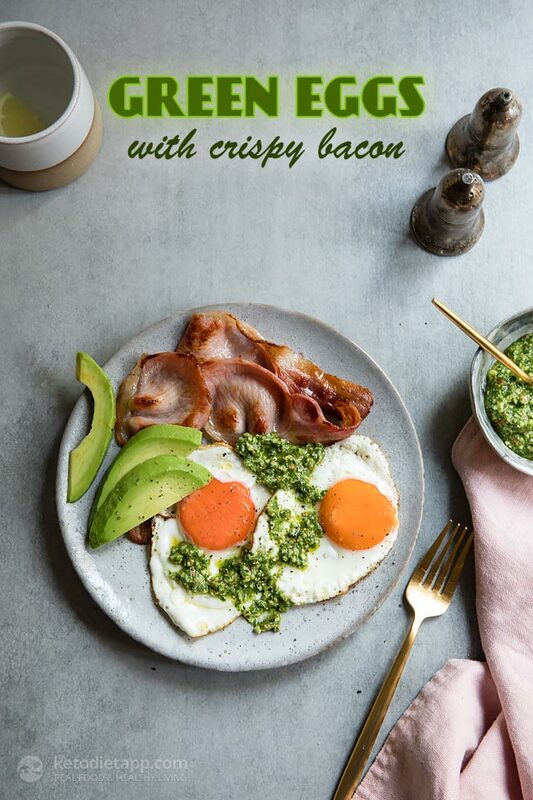 I know you guys love bacon and eggs so these green eggs with bacon is a new twist on your favourite. The almond pesto adds a Mediterranean twist with lots of healthy good for you fats to keep your insulin levels stable and your energies high. Any left over pesto can be kept in the fridge for up to 4 days and used in a salad, in courgette noodles or tossed through some lovely crispy roast chicken. This recipe works really well with scrambled eggs too if you prefer. 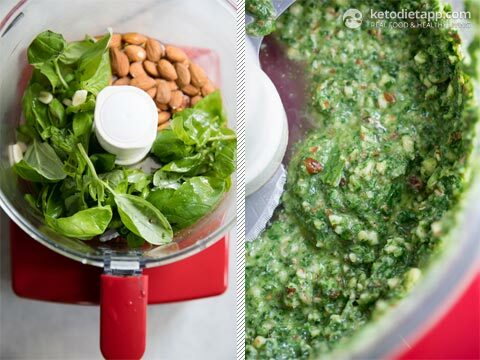 Note: Get creative and make your own pesto using nuts, seeds, olive oil, herbs and spices! Here are even more keto-friendly pesto recipes. Nutrition facts per serving are almost the same for all pesto recipes. Prepare the pesto. Blitz all the ingredients together in a high speed food processor. Prepare the eggs and bacon. 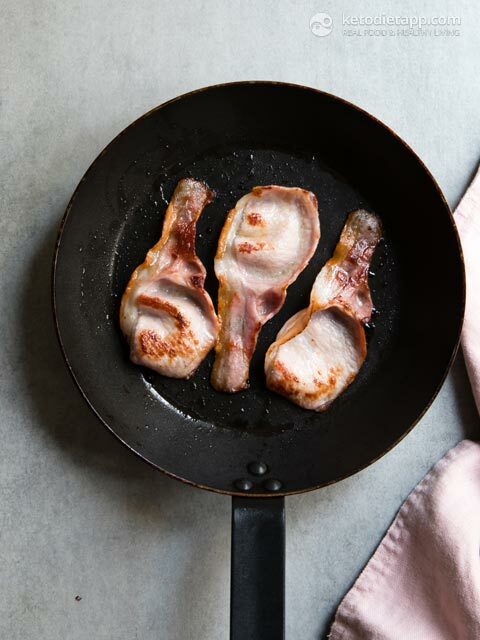 In a frying pan, fry the bacon rashers for 2 minutes per side until crisp. I dry fried them but you can add a touch of olive oil or ghee if you prefer to prevent sticking. All depends on your pan. Drain on a sheet of kitchen paper. Meanwhile, heat another frying pan with 1 tablespoon of olive oil or ghee on a medium/ low heat and coat the bottom of the pan. Crack the eggs into the pan, and sprinkle with a pinch of salt and pepper. If the oil starts to spit, it’s too hot so turn down the heat. Cook the eggs until the white is set and the yolk still runny, or to your liking. 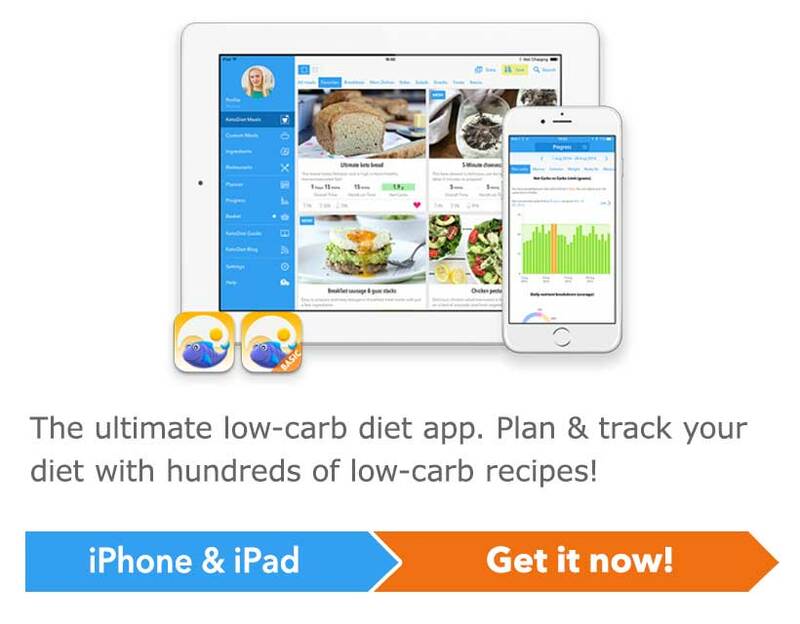 Remove from the pan with a spatula. 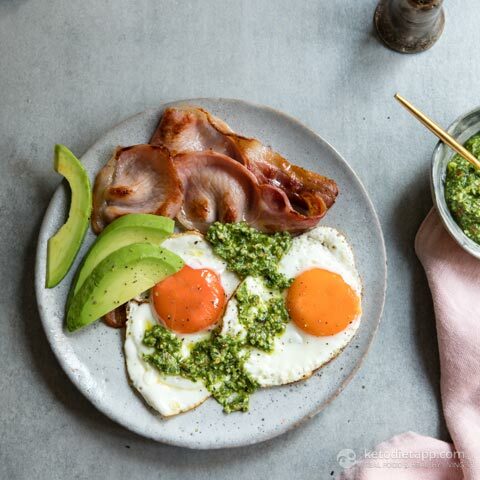 To serve, place the eggs and bacon on your plate, with sliced avocado and 2 tablespoons of almond pesto. Any remaining pesto can be stored in the fridge and used on a fresh salad or mixed through some roast chicken. You can keep your pesto in the fridge for up to a week or two if it's stored properly. It helps to pour a thin layer of olive oil on the top, as it keeps it fresh for longer. If you want to preserve homemade pesto for longer, freeze it in manageable portion sizes by putting it in an ice-cube tray and keep in a plastic bag in the freezer for up to 6 months. Whenever you need to use it, just keep the required portion at room temperature until it melts.